The Chapel of Eternal Love and its sequel The Return to the Chapel of Eternal Love were so much fun to read. An entertaining slice of life in Las Vegas. The couples were varied and each of the relationships was unique. It was easy to slide into their lives and hope for the best for each couple…just like being there. The dog, Buster is a real winner, so real and adorable. The last chapter of Stephen Murray’s wonderful book The Chapel of Eternal Love: Wedding Stories from Las Vegas is entitled “A Day in the Life of a Wedding Chapel.” And what a day! Through the various nuptials in this collection, Murray offers no less than a fascinating cross-section of American culture. He achieves this ambitious vision through subtle, incredibly compact storytelling.Along with an easy humor, Murray demonstrates a poignant empathy for his characters. Whether he captures the psychology of Linh, the Vietnamese immigrant in search of her father who decades ago had been an American soldier in Saigon, or the gentle counsel of chapel director Rosemary, Murray evokes individual perspectives with deftness and economy. The breadth of vision here is impressive from Harley-riding loners to septuagenarian second-timers to an Iraq-war veteran’s correspondence with an anti-war attorney to the young lovers confronted with an unexpected pregnancy to the glamorous model and the photographer to the kindly counselor and the prostitute (not to mention a crazy Elvis-impersonator wedding – hey, the book is set in Vegas). Given such diversity, Murray can juxtapose the hilarious interreligious romance of the Jewish Becky and the Italian Giovanni up against the heartbreaking tale of betrayal suffered by Rosa, an illegal immigrant from Guatemala.From story to story, The Chapel of Eternal Love is constantly engaging and revealing. Grasping loneliness with nuance, Murray presents a book that is Exhibit A about how much a single personal connection can make huge difference. On one level, the book is about identity, maintaining the one that originally defines an individual, but then discovering through another what allows that identity to flourish.Indeed, The Chapel of Eternal Love gets a reader thinking, but, as importantly, it provides so many pleasures that one can’t help but get as swept up in the romance of the book as much as the motivations that propel Murray’s characters to the altar. Stephen Murray delivers what the reader has been waiting for in his sequel, The Return to the Chapel of Eternal Love. Five years have passed since we "attended" the weddings of the couples all married on a particular day. We again are allowed a look into their lives as Rosemary prepares to retire. She doesn't know that a fabulous reunion of the couples is also being planned at her surprise farewell party. Again we are instantly drawn into the lives of the couples, Rosemary and the darling Buster. Stephen Murray delights us with the follow up stories, as we take a nostalgic trip with the characters who feel more like our friends! The Chapel of Eternal Love - Endearing. 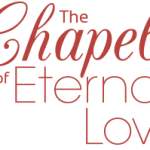 The Chapel of Eternal Love is an endearing "ride-along" with a diverse group of couples who have unique lives and love stories. The Fairy God Mother at the heart of the Chapel is Rosemary, the wedding organizer, with her adorable dachshund, Buster. Rosemary possesses an instant rapport with each of the couples whose weddings she oversees at the Chapel. Although she works her magic without a wand, she seems to hone in on exactly what is needed to make the wedding day a lovely experience the couples will always treasure. Stephen Murray has the ability to bring his characters to life and as such, the reader feels privileged to "be" at their weddings. Each chapter instantly brings the reader into the lives of these people as we find ourselves wishing them all the best on their special day. The Chapel of Eternal Love:Simply charming! A quick read -- only about 175 pages. A "day in the life" of a Wedding Chapel Administrator. The people she meets and helps. I was delighted that Mr. Murray wrote a sequel! I found myself caring about the characters! I highly recommend for any romantic!Return To The Chapel of Eternal Love:This is the sequel to The Chapel of Eternal Love. I am so happy that Mr. Murray wrote the sequel! I found myself caring about the characters in the first book! This was a quick read for me! Being the incurable romantic that I am, I was delighted. Hey Mr. Murray -- any chance there will be a 3-quel? Stephen Murray has me hooked on several characters in the first book. I love how Stephen was able to keep my attention throughout the book ( which is very difficult for me ). I totally loved this book and cannot wait to start my second of the series.I am so looking forward to having Mr. Murray on my show May 18, 2017 at 2:00 PM EST. Mr. Murray creates a stream of love stories centered around the fictional Chapel of Eternal Love. With each story we embark on a journey that takes the reader through the events, loves and sometimes loss that has them all arriving to celebrate their love. As I soaked up each story, I couldn't help but feel that somehow they were true. For all the lives that pass through the chapels in Las Vegas, these characters, or a form of them, must have been there at one time or another. Superb! Wanting Yet More ... Another Five Year Return to Chapel of Eternal Love ? So fun taking an afternoon to read and catch up with all the marriage couples from the Chapel of Eternal Love. And Buster, don't forget Buster! Stephen artfully brings together romance and real life. Ummm, wonder what five more years will bring? Think I will ask him. S t e p h e n? Easy, enjoyable reading that will make you smile. Fun group of stories about couples who married at a make believe Chapel in Las Vegas. I know the chapel is not real because I unsuccessfully searched for it on the internet & I asked the author. I had the great pleasure of meeting the author, Mr Stephen Murray, at a Las Vegas local authors event and I purchased two of his books. The Chapel of Eternal Love is well written, intelligent, & fun. Once I started reading it I could not put it down. I read the entire book in one day. It is easy, enjoyable reading that will make you smile. I highly recommend it.